It’s taking place at MoCADA in Brooklyn this weekend. Zines have always celebrated grassroots passion, design, and creativity, ever since their emergence in the 1920s and subsequent revival in the '70s punk era. Today the medium's more crucial than ever, particularly for marginalized people who are underrepresented in mainstream media, and for whom zines offer total creative control. 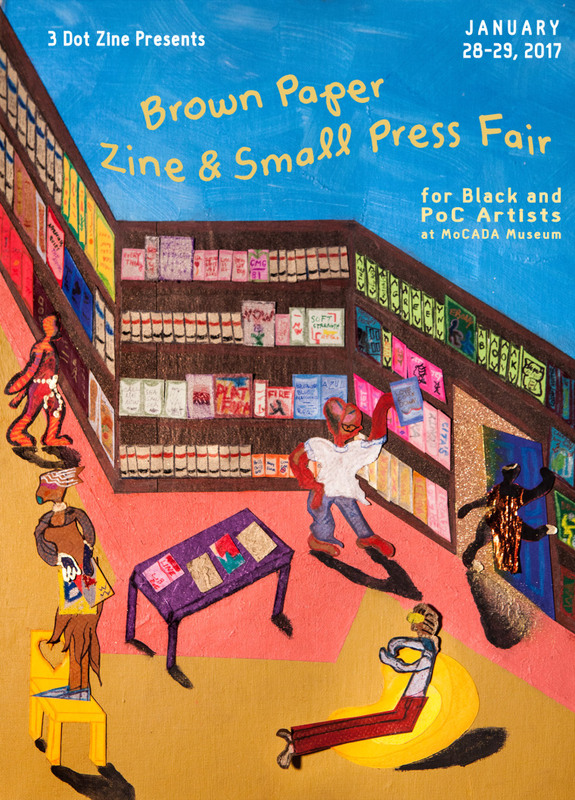 That's why this weekend's Brown Paper Zine & Small Press Fair For Black And POC Artists at the Museum of Contemporary African Diasporan Arts (MoCADA) is a must-visit. It's been organized by artist Devin N. Morris, who founded his own zine, 3 Dot Zine, back in 2014. The participants at this year's fair include: True Laurels, a zine that highlights stories from writer Lawrence Burney's hometown of Baltimore; Spook, which is edited by The FADER's own Jason Parham; and Yellow Jackets Collective who write about their "specific experiences as queer yellow femmes who grew up in white spaces in the U.S."
The fair takes place this Saturday 28 and Sunday 29 January at MoCADA. For more details, check out MoCADA's website.